I thought that every 3rd grade student with a modest curiosity for trivia knew these statistics, but apparently I was wrong based on the number of retweets this post received. 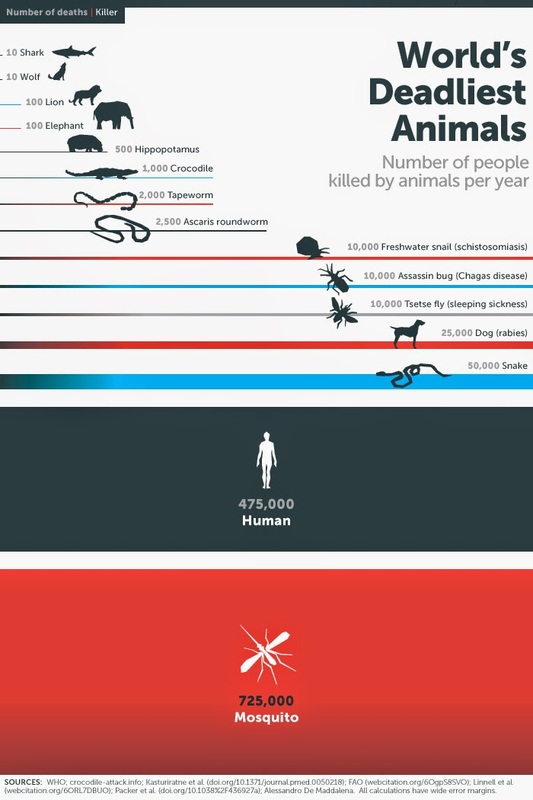 Bill Gates -- who continues to wage an increasingly successful war against poverty and deadly diseases around the world -- posted this info graphic which shows the deaths attributable to various "animals" around the world. * Note local mosquitoes are rarely deadly, these deaths are mainly due to malaria which is a sub-tropical issue.